Well, I know which look I prefer. She doesn't look very Detective-y though, does she? More sort of student backpacker-y. On a more glamorous note. Red is definitly her color. This is the best look I've seen on her in sometime-it somehow says "I'm fun, quirky, and independent" and also "but don't get any ideas, I'm married" at the same time. Vidya Balan is the brand ambassador for the 2015 Indian Film Festival of Melbourne. I really like her hair in that video. Promoting her new movie in a cute pastel sari. 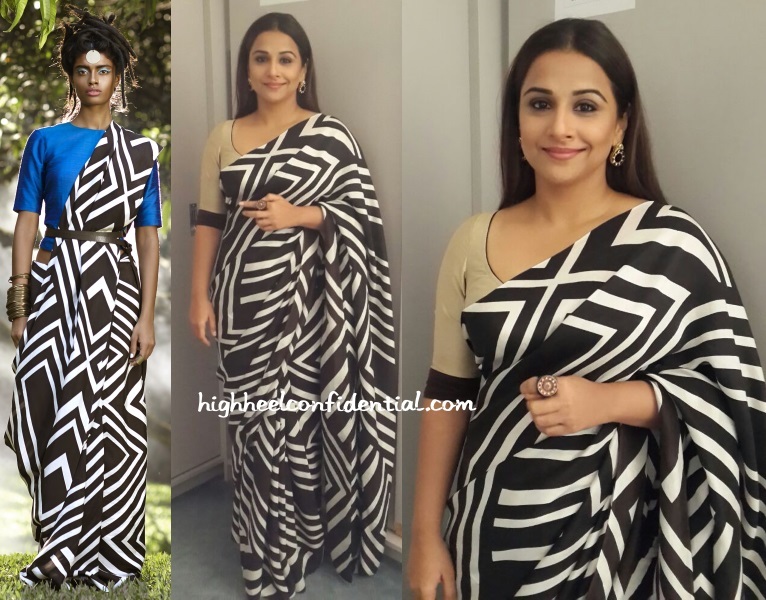 I think these are my favorites of her recent saris.